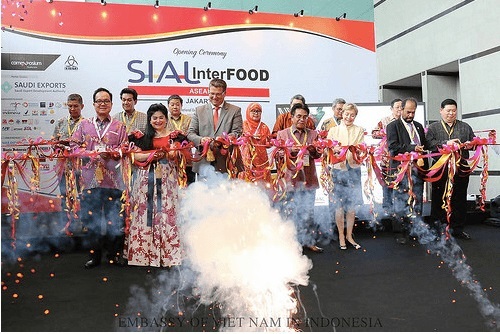 November 11, 2015, in Jakarta opened the International Fair Food, Beverages and Technology Indonesia 2015 (Interfood Indonesia 2015). The fair was held under the auspices of the Ministry of Commerce, Ministry of Industry, Ministry of Maritime Affairs and Fisheries, the Ministry of Tourism and Creative Economy, the Ministry of Small and Medium Enterprises … The opening ceremony took place with the witness his Panssah Susanto, Director General, Ministry of Industry and representatives of other ministries. The fair is held annually and is the leading fair in Southeast Asia in the field of food, beverages and processing technology. Join Fair 2015 has more than 800 enterprises from 22 countries and territories, is expected to attract over 10,000 visitors. The items on display at the fair include: food, beverages, additives in processing, the line technology, raw materials, services, types of equipment and machinery used in processing food. The fair is the opportunity to meet, trade, exchange of experience and branding products to businesses in the country and abroad. On this occasion, the Indonesian Ambassador to Vietnam at Hoang Anh Tuan and embassy officials in Jakarta Vietnam visited Vietnam booth at the fair. 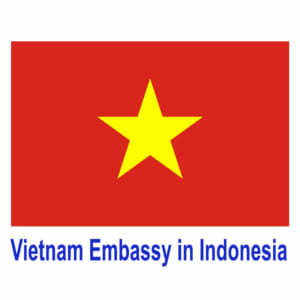 Ambassador Hoang Anh Tuan appreciate the efforts of the deal in introducing, promoting Vietnam’s products to consumers as well as the first Indonesian to connect businesses with enterprise Indonesia Vietnam. According to the Ambassador Hoang Anh Tuan, with a population of 260 million people, Indonesia is a potential market if Vietnam enterprises that take advantage of and seize the opportunity. 2014 trade turnover between Vietnam – Indonesia reached US $ 5.4 billion and the two countries strive to raise bilateral trade volume to 10 billion US dollars in 2018. In the first nine months of this year, exports and imports between Vietnam and Indonesia reached 3.91 billion dollars, up 4.1% from the same period last year. In particular, exports from Vietnam reached more than $ 2 billion.